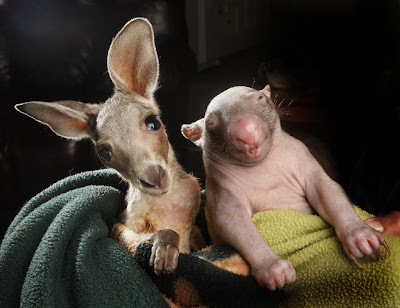 Opposites can attract and Anzac a doe-eyed baby kangaroo has become best friends with Peggy, a tiny squint-eyed wombat. 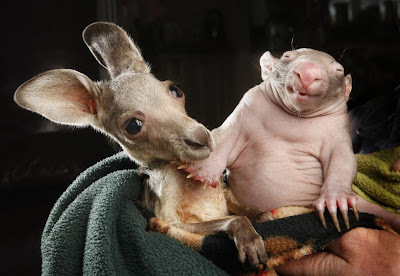 Their unlikely union developed after the pair - both orphans - shared a pouch at the Wildlife Kilmore Rescue Centre in Victoria, Australia. At just over five months old, Anzac was brought to the centre after being rescued in the Macedon Ranges. 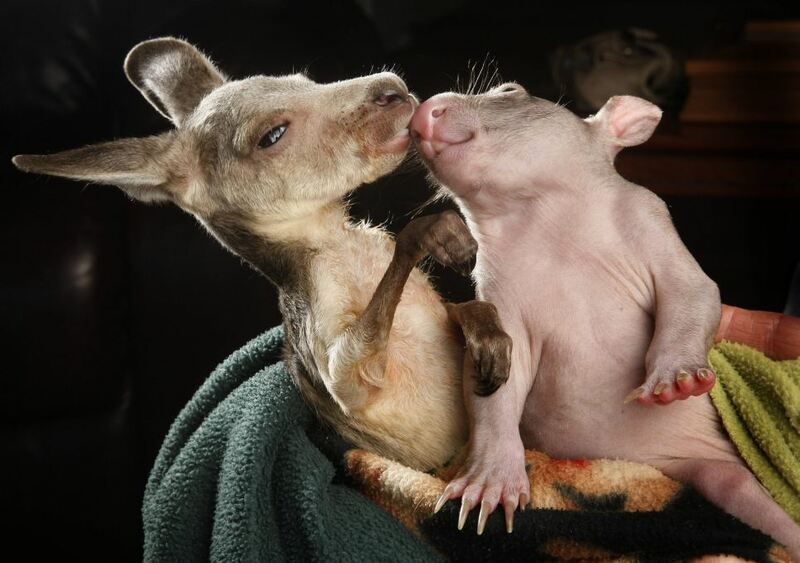 The joey is in the mother kangaroo's pouch for about eight months, depending on the species, but Anzac was abandoned a few months before he was ready to be free. Luckily he was placed with Peggy, who was also feeling lonely and the two now sleep together, reducing the amount Anzac misses his mum. Worker Lisa Milligan explained the unlikely friends are comforted by each others movement and heartbeat. One of the reasons the lively duo get on so well is their similar personalities - with Anzac described as very social while Peggy is boisterous and cheeky. It's unclear if Peggy and Anxac's friendship will continue as they grow - firstly Peggy may not be able to keep up with Anzac. Wombats walk with a somewhat awkward, shuffling or waddling gait. Although they appear to be slow and docile, wombats are very alert and can move quickly with great agility when needed. 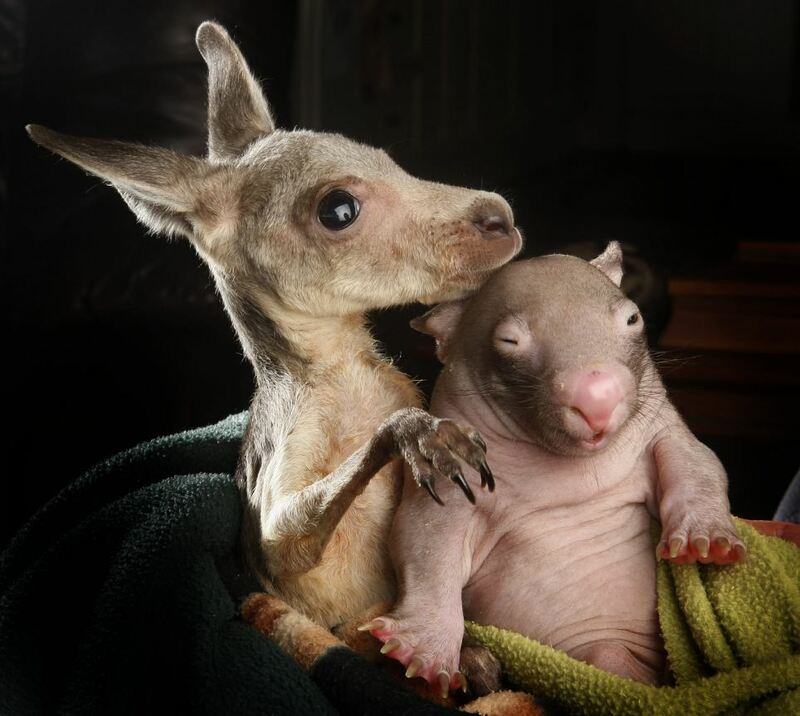 But in contrast kangaroos can move a lot quicker and hop so efficiently that they can reach great speeds. Although tiny at the moment as they get older their sizes will also start to differ greatly. Peggy will become powerfully built, weighing about 30kg - about the size of a small pig, although wombats are rarely dangerous. 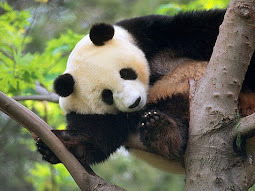 But Anzac will become a lot taller and weigh about anything upwards of 30kg. Luckily they are both herbivores so they won't be a threat to each other and if their friendship does continue they could spend their days side-by-side looking for luscious blades of green grass and leaves.